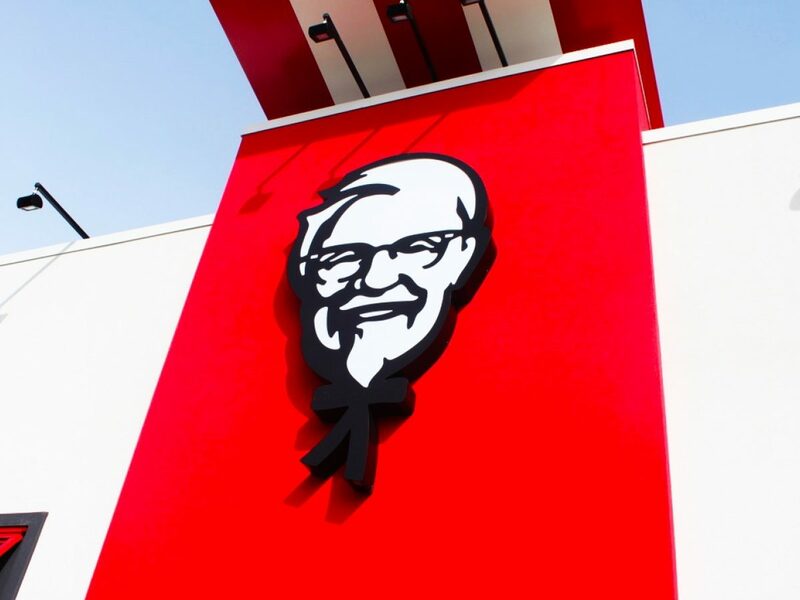 Our work with KFC began in 2015 as the brand wanted to roll out their new concept. 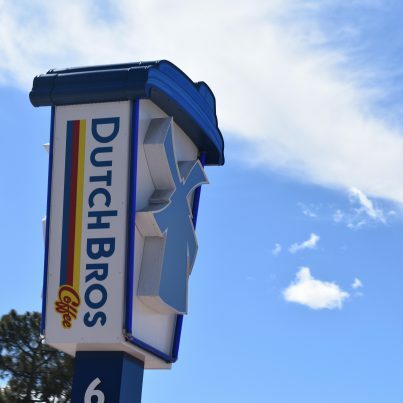 The new design is intended to modernize the chain's appearance with a cleaner, bolder look. Our team ensures the implementation of the brand's design elements are accurate across each location with the interiors consisting of stark red and white walls, furniture, and décor accented by historic graphics. 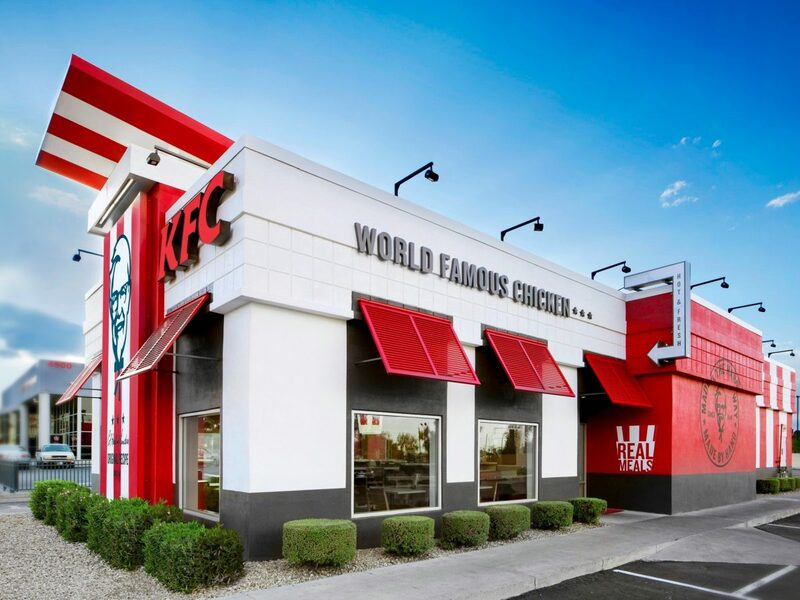 The exterior intends to grab the attention of potential customers with red and white stripes with Colonel Sander's image front and center accompanied by the chain's "WORLD'S FAMOUS CHICKEN" tagline. 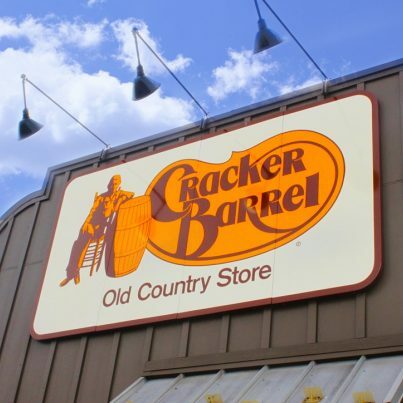 To date, we have completed work on 700+ locations including ground-up new stores and remodels in 40 states.